At your first appointment you will receive a thorough assessment. A detailed history of your medical condition will be recorded, which will be followed by a full examination. Please wear appropriate clothing (ie: shorts and vest, or bra and pants). I will give you advice on your condition regarding its management and prevention in the future and we will discuss what treatment you will need and you will be able to ask any questions you wish. This first appointment will take up to an hour. It will always include advice, education and an home exercise programme to help a speedy recovery. The follow up sessions will take about 45 mins. Click on any of the links above to be given more information about the treatments. 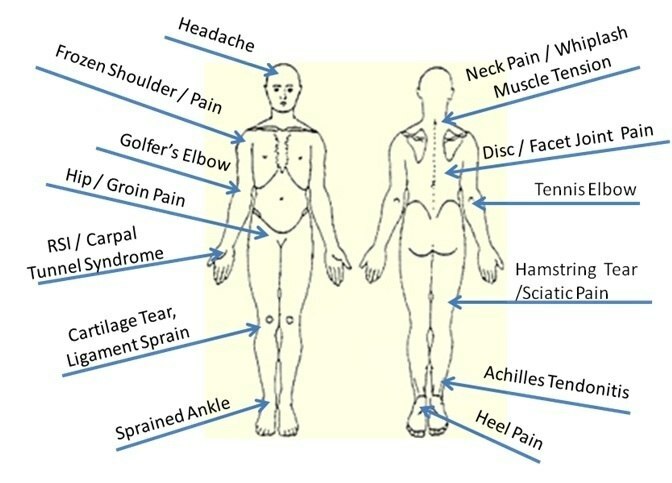 Although Japonica Clinic is fully equipped, you may wish to be assessed and treated at home. Perhaps you are elderly, a busy mum with children, recovering from surgery, or just not feeling up to leaving the house for many reasons. Home visits and treatments can be arranged but only for those of you living in the village Rode and who can't get to The Clinic. Please note that there is a set fee for home visits. They will always include advice, education and a home exercise programme to help a speedy recovery. The follow up sessions will take 30-45 mins.